There's an old saying - there's no Christmas without Easter, but equally, there's no Easter without Christmas. This "most wonderful time of the year" truly lives up to its tag - celebrating the coming of our Messiah, Jesus. 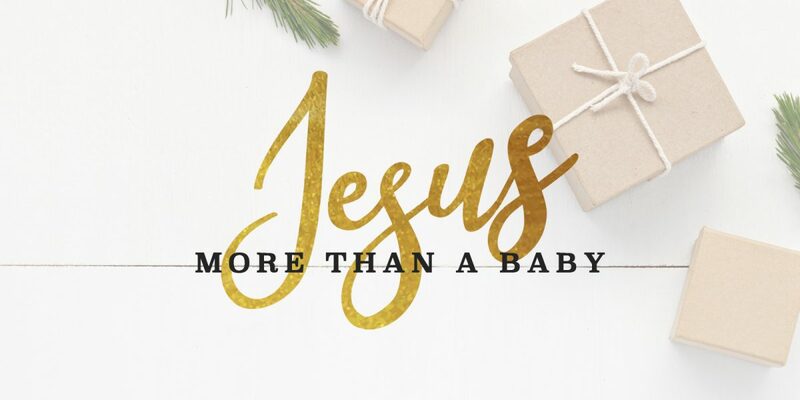 Our theme this Christmas is "Jesus - More Than A Baby". For many, Jesus is simply a baby in a manger, but the Bible tells us He is much more than that. — even death on a cross! Because of Jesus, we can know God’s forgiveness. Because of Jesus, we can become part of God’s family. Because of Jesus, we have hope for a better future. Because of Jesus, those who trust in Him will live with Him forever in heaven. We would love to explore these questions with you, so please join us this Christmas to explore who Jesus is and what He has done for us. IT'S THAT TIME, FOLKS! 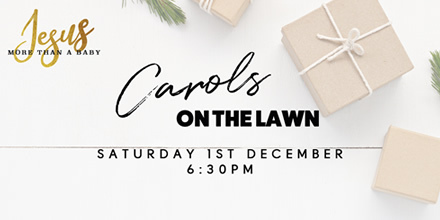 Our annual Carols On The Lawn celebration is upon us to kick off the Christmas season. There be food, live music, activities for the kids, and of course - carols! So bring your picnic rug and we'll "rock around the Christmas tree" as we celebrate the greatest "joy to the world" that came to us "on a midnight clear"! BETWEEN OUR MAJOR events this Christmas, we invite you to join us for church each Sunday at 9:15 and 11am! During this sermon series, we will focus on aspects of Jesus' character, His coming and His reign. During this yuletide season, we'd love to welcome you to church - so that we can celebrate our Redeemer and King, who is far more than a baby. THE NIGHT BEFORE CHRISTMAS is a special time at Parramatta Christian Church! 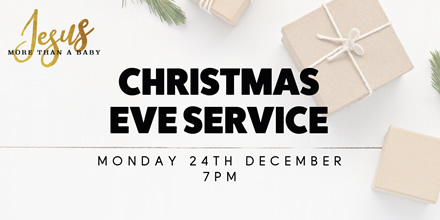 Join us from 7pm for a special evening service as we countdown to Christmas morning. There will be your favourite carols and a short message as we celebrate the coming of our Saviour . And make sure to hang around for a Christmas supper afterwards (please bring a plate of food to share). Morning services as normal on Sunday 23rd of December. PLEASE NOTE - there are no services on Tuesday 25th.